Jeri Castronova was born and raised in Southern California. She wrote her first story, ‘Sinbad the Sailor,’ in the second grade. Since then, she has written short stories, newsletters, scripts, songs, poetry, an off-Broadway musical titled I Am Woman, and a dissertation on Energy Healing and Back Pain. She has presented professional papers at national and international psychology conventions. While on staff at Camarillo State Hospital and Napa State Hospital in CA, she began a nonfiction book that included case studies of her psychiatric patients, as well as her own spiritual experiences. The package—book, workbook, and video—are used in her workshops. She has been interviewed on radio and TV, and appears at women’s expos, psychic fairs, book festivals, and community organizations. Jeri is a member of the American Psychological Association, past President of Prescott Writers and is currently on the Board of the Arizona Authors Association. 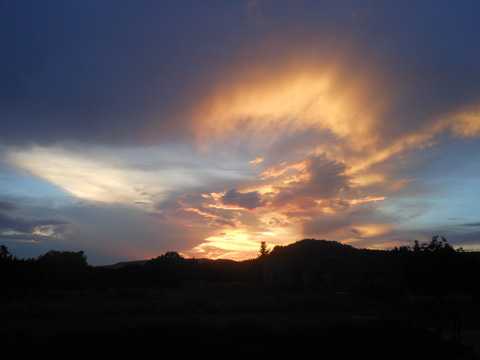 Her artistic skills include oil and acrylic paintings, with art exhibited in Sedona galleries and at the Sedona Visual Artists annual show in November at Tlaquepaque. 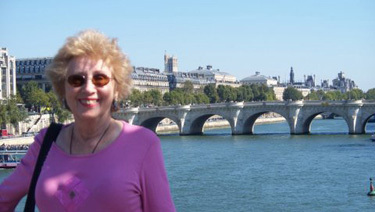 Travels for fun, culture, history, pleasure, and exploration of timeline memories have included these fascinating places: Italy, France, England, Scotland, Ireland, Egypt, Greece, Israel, Crete, Mexico, Yucatan, Canada, Jamaica, Puerto Rico, Bahamas, Hawaii, and the U.S.
Jeri’s travels and research all over the world have shown there are similar historical structures and writings that show a belief in a Divine Goddess who brought balance into the lives of humans. This all changed thousands of years ago when the Goddess was thrust into the shadows by the patriarchal cultures and religions. The Divine Feminine has been missing from global mythologies since Lemuria sank beneath the waves of the Pacific. She has emerged at various times of our history, only to have her loving power quashed in such a way that women instinctively knew the goddess had to remain hidden, in order to be resurrected at the Divine Right Time – THAT TIME IS NOW! Humans are awakening and enthusiastically want equality and freedom in the world. The symbols of the goddess are the circle and the spiral. They are found on ancient structures and hidden tombs. These symbols are known as The Game Board. Jeri’s new book, The Goddess and The Game Board, has been called The New Genesis. She was given the assignment by the Goddess Isis at the beginning of 2012 to write a Guide Book for the Golden Age. The New Reality is not just about the physical changes of earth or the higher vibrations, it is also about lifting the veils that have been covering the Truth for so many eons, keeping humans from their true history. The Game Board of Human Existence is an ancient method of achieving one’s True Self through the mastery of karmic completion, spiritual growth, releasing emotional blocks, body healing, and learning the Truth about the planet and where we came from. Jeri speaks on these topics, and more, using power point to enhance the visuals and spark interest in these fascinating topics.